We at Primrose Hill Primary School find ourselves in an incredibly unique and privileged position of being situated on Regents Canal. Our location has given us the opportunity to embark on an exciting and innovative project – acquiring a ‘Floating Classroom’ for our wonderful children. This classroom will in fact be a barge that is permanently moored on the Regents Canal near our nursery. This will give our students the opportunity to learn in a unique and interactive environment. It will also give our students the opportunity to appreciate and learn about nature in a way that they would not be able to in other schools. We understand and appreciate how unique our location is and this barge is an opportunity to enhance our children’s learning experience further. Primrose Hill is a very diverse school; we have a wide variety of children from different ethnic backgrounds, children on free school meals and children with special educational needs. The barge would benefit all of these pupils immensely. For example, some of our children do not have the funds to go on many trips or holidays, so I’m sure you can imagine how fantastic it would be for them to be able to travel along the canal with a group of their friends, learning about their local environment and gaining new experiences that, in turn would enrich their imagination and knowledge. This would also reflect on their learning. Some of our children with Special educational needs (SEN) would benefit hugely from the calmness of the water, especially if they are finding it difficult to cope in the classroom. Currently, these children are taken to our school garden or our soft play room to de-stress and re-focus so they are able to learn, the barge would add another layer to this support system. To have a dynamic and peaceful space where they can see the ducks, watch the water or simply read a book somewhere different would be an immeasurable help to these children. We plan to get the children to write persuasive letters to local businesses, asking if they would be able to donate towards the purchasing of the barge. This will help with their writing skills and is a whole school activity which is a great way to get everyone working together to acquire this wonderful space. Our aim is to raise £80K – we have about half that amount already – this funding will cover the purchase of the vessel itself plus the operation and associated costs. This will also give the children an additional purpose to what they are writing and why it is so important. Receiving and reading the replies they get will also greatly boost their confidence and will replies, hopefully be successful in helping to generate some sponsorship, as a positive outcome for all their hard work. We plan to use the barge to encourage parents to get more involved in their child’s learning, for example, reading with your child is one of the most important things that you can do as a parent to help them. We would run reading boat groups, where we take small groups of children along the canal while their parents read to them. This is a novel way of doing it rather than sitting in a classroom or a library, it’s a relaxed atmosphere and will encourage parents to discuss the text with their child, explain the story and have a positive reading experience for adult and child alike. Sometimes a small change of environment is all it takes to improve a child’s learning experience exponentially. We currently run a cooking club twice a week and would love to be able to do this on the barge – cooking dishes from vegetables that we grow in the garden and preparing them and environment that is close to nature. When the barge has been established as our floating classroom we would like to use it as a way of bringing in some much needed additional funds for the school. Children’s birthday parties, a meeting space for our local residents or even as a vessel to be used for trips to the local attractions – are but a few of the ideas we have for income generation. The children could create the brochure and make flyers to advertise the many ways our barge can be used by the local community, for a small fee. We would like the children to help decide a pricing structure as this all links to the curriculum and is something the whole school could be involved in, even our two year olds. We would use the barge for rewards as well; the class with the best attendance or punctuality could go on trips or do cooking lessons on the barge as a treat. The barge would also benefit the wider community, we are part of a cluster with 5 other Camden schools and as part of this agreement we share facilities, the other schools would be welcome to use our barge. This could potentially benefit hundreds of children within the borough. The Pirate Castle is a local business along the canal and is in full support of our application. They are keen to help us maintain the barge and in return, if they get extra party bookings themselves we will let them use our vessel. We may also come up with an agreement where the children get to do kayaking at the castle in return for sharing the barge. This would greatly enrich the children’s learning experience as well as giving them the opportunity to take part in an activity that is not readily available to so many other children in London. Kentish Town City Farm has similar interest in this project. If they were able to use the barge, we would also be able to use the farm and its facilities for free. 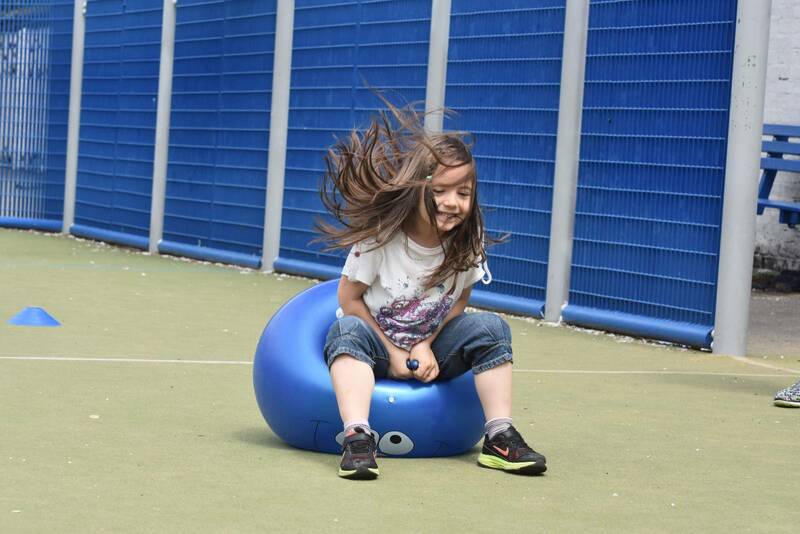 This benefits our children and the local children in and around Kentish Town in a huge way. We intend to make a link with The Primrose Hill Community Association which would benefit the local community directly associated within Primrose Hill. These people are mainly pensioners who live in the nearby Oldfield Estate; we would happily let them use the barge for days out, cream teas etc. The above quotes are just a snapshot of the support we have form our parents and local community and as you can see they are just as excited as we are to get this project underway. One parent has generously donated 20k to this project and plans to donate another 20k in September. This is an uncommonly generous donation that has made it so that acquiring the barge will be possible much sooner than we had initially anticipated. We are also planning to apply for funds from any other foundations that support community projects and are hopeful that this will bring in significant funds to help us to see this project to completion. I hope that we have provided you with all of the necessary information and that you will seriously consider supporting our application for this project. If you require and further information please do not hesitate to contact me on: 0207 722 8500 or via email: robin.warren@primrosehill.camden.sch.uk.